Well, here we are on the last day of May and the ‘humanitarian’ intervention in Libya is still ongoing. When it started, it was supposed to be about protecting civilians in Benghazi- now it’s quite clearly about regime change- which is illegal under international law. Beware ministers' claims that a military campaign is making slow but steady progress. It nearly always means the opposite. If "progress" was really being made in Libya, why would it be necessary for Britain and France to send attack helicopters? As to how much this latest military adventure is costing us- take a look at this . Remember the article the next time you hear a coalition politician trot out the line ‘we’ve got no money left because Gordon Brown spent it all’. Judging from Saturday's hopelessly one-sided Champions League final, in which Manchester United were, in Sir Alex Ferguson's own words, "given a hiding" by Barcelona, it's likely to be a few years at least before English football catches up with the super-skilled Catalonian version. 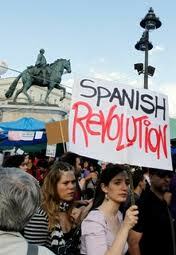 But the Spanish tactics for streets protests – against joblessness among the young and against the power of the banks – is another matter. 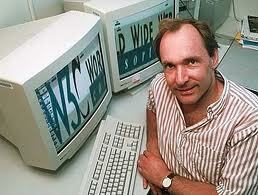 PROFESSOR Sir Tim Berners-Lee, the scientist from south London who invented the World Wide Web is, to paraphrase Winston Churchill, a modest man with very little to be modest about. His invention has, after all, radically changed the way we live and do business. I was lucky enough to interview this truly Great Briton and what struck me was the passion he had for keeping the internet free from government censorship and other forms of outside control. I think it’s time we all paid close heed to Berners-Lee’s wise words. Calls for greater regulation of the net are growing increasingly louder and debate has raged over the rights and wrongs of 75,000 users of Twitter leaking the news of footballer Ryan Giggs’s injunction, which was intended to prevent press coverage of his extramarital affair. “The web should be like paper,” Berners-Lee told me. “A form of paper which doesn’t allow you to write sentences which are malformed, or not in English, or of right-wing or left-wing bias, would be a very poor form of paper on which to base civilisation. The beauty about the web, according to Berners-Lee, is that anyone, rich or poor, of whatever ethnic origin, can set up a site or blog and express their opinions, giving people a voice who previously never had one. The fact that millions have been empowered in such a way obviously scares the powers-that-be. In some parts of the world, political censorship of the web is a reality. Protesters are lining up outside banks up and down the country in opposition to proposed changes to the NHS. 'The NHS did not cause the financial crisis – the banks did and are continuing to make billions in profits. And yet it is the NHS which is being cut,' said Candy Udwin of the Camden Keep Our NHS Public campaign, which took part. Protesters have been holding demonstrations outside high street banks around the UK and have succeeded in occupying a number of branches in the biggest direct action to date against proposed changes to the NHS. The national protest, designed to draw attention to the banks' role in creating the deficit, is being spearheaded by the anti-austerity campaigning group UK Uncut, which has been were joined by trade unionists and others. The British people will never allow the NHS to be destroyed. It's time Andrew Lansley and the other neoliberal 'reformers' in the current government realised that. Neil Clark: Britain's publicly-owned bookmaker keeps horseracing diverse. Without it, smaller courses would struggle to survive. UK’s huge wealth gap can and should be corrected. Both in 1999 and 2003 our leaders lied to us about the real reasons for our country's involvement in military conflict. How can we be sure that what is happening in 2011 is any different? Well, surprise, surprise, it wasn’t any different. In March, we were told that we were getting involved in Libya in order to save civilians in Benghazi from being massacred. Nearly two months on, and it’s obvious to all that this ’humanitarian intervention’ is about ’regime change’- (which is illegal under international law) and destroying the country’s infrastructure. Stop the War have called an emergency protest for 5pm tonight, at Downing Street, Whitehall, London SW1A 2AA, at the time when Parliament is debating Libya. Do try and get there if you live in London. Our political elite have dragged us into yet another military conflict- at a time when they tell us there’s no money for public libraries and youth centres. A senior adviser to David Cameron says the NHS could be improved by charging patients and will be transformed into a "state insurance provider, not a state deliverer" of care. Mark Britnell, who was appointed to a "kitchen cabinet" advising the prime minister on reforming the NHS, told a conference of executives from the private sector that future reforms would show "no mercy" to the NHS and offer a "big opportunity" to the for-profit sector. Britnell, a former director of commissioning for the NHS, who is now head of health at the accountancy giant KPMG, was invited to join a group of senior health policy experts, described by the respected Health Studies Journal as a "kitchen cabinet", in Downing Street earlier this month. ......In unguarded comments at a conference in New York organised by the private equity company Apax, Britnell claimed that the next two years in the UK would provide a "big opportunity" for the for-profit sector, and that the NHS would ultimately end up as a financier of care similar to an insurance company rather than a provider of hospitals and staff. Allowing the NHS to be ripped apart by profit-hungry private companies is of course what the Lansley ‘reforms’ are all about. Only the government has to pretend that it’s ‘reforming’ the NHS in order to ‘improve it’. 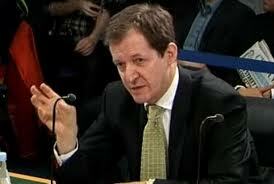 Alastair Campbell and Tony Blair were accused of lying to the Iraq Inquiry yesterday after devastating secret evidence was declassified. A furious former spy chief wrote to Sir John Chilcot, the Inquiry chairman, to complain that the former Downing Street spin doctor failed to tell the truth about the dodgy dossier on Saddam Hussein’s weapons of mass destruction. When Campbell gave evidence in January 2010, he vociferously denied that the dossier on Saddam’s arsenal was specifically drawn up to ‘make the case for war’. But Major-General Michael Laurie, who was head of intelligence collection for the Defence Intelligence Agency, has become the first senior spy to flatly contradict the spin doctor’s claims. In an email to Sir John, published for the first time yesterday, General Laurie said: ‘Alastair Campbell said to the inquiry that the purpose of the dossier was not “to make a case for war”. I had no doubt at that time this was exactly its purpose and these very words were used. Tony Blair is a disgraced and discredited figure, regarded by millions of people around the world as a war criminal. But why does his former side-kick still receive deferential treatment whenever he appears on tv? …..According to David Cameron "the risk" to the NHS is "doing nothing." The status quo is simply not an option, the government tells us. How many people have you seen marching for radical reform of the NHS? Everyone I have met who has had treatment on the NHS in recent years has been very satisfied with the way they were treated. When I had to have a minor operation a few years back, I not only received exemplary care and attention in hospital but I received a text the following day from the NHS to check if I was all right. What terrible service from an organisation which free-market fanatics like to label a "Stalinist bureaucracy"! Because most people are happy with the NHS the way it is, the neoliberals have to hype up its failings. Yet when things do go wrong they are invariably caused by the introduction of so-called "market principles" and privatisation into our health-care system. MPs are today debating Lansley's Health Bill. This Bill doesn't need 'revision' or 'improvements'- it needs to be ditched altogether. The government has absolutely no mandate for it. Neil Clark: Keep standing up for the state – a leaked memo shows the coalition fears public reaction to outsourcing of public services. 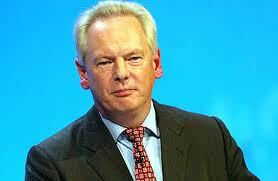 "A return to the 1990s with whole-scale outsourcing to the private sector – this would be unpalatable to the present administration" Tuesday's leaked memo of a meeting between business chiefs and Francis Maude, the minister for the Cabinet Office – which reveals how the coalition is having second thoughts about the scale of its ambitious and ideologically driven programme of ending the "state's monopoly" of the provision of public services – is undoubtedly welcome. But supporters of public ownership shouldn't be popping the champagne corks just yet. AFTER its completion exactly 80 years ago this week, it was declared to be the eighth wonder of the world. Rising like a colossus from the ground at 1,250 feet tall, the Empire State Building with its wonderful Art Deco design and limestone façade was the tallest building in the world. Although it no longer holds that accolade the edifice on the corner of New York’s Fifth Avenue and 34th Street remains the world’s best known skyscraper. As well as being a remarkable feat of engineering and an enduring monument to the American “can do” spirit, the Empire State Building has become one of the greatest pop-culture icons of the modern age, featuring in scores of films from King Kong to Independence Day. My wife and I first visited it in 2006 and it’s fair to say we haven’t come back down to earth since. Everything about the building is epic and the story of its construction never ceases to inspire. 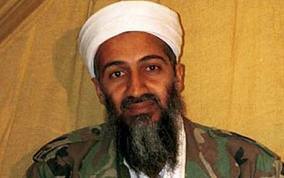 Osama bin Laden, the world’s most wanted man, is dead, US president Barack Obama confirmed today. The man held responsible for the terrorist attacks in New York on September 11 2001, and the London bombings of July 7 2005, Osama bin Laden, was killed in a US operation in Pakistan. Speaking from the White House, President Obama said he authorised the operation. The body of the Al Qaida leader was now in US custody, he said. UPDATE: The U.S. is not going to release photographs of Bin Laden's dead body.